CrossFit Inc. and Strauss Brands have signed a first-of-its-kind partnership to offer CrossFit® Approved premium-quality meat through a multi-year deal brokered by IMG. 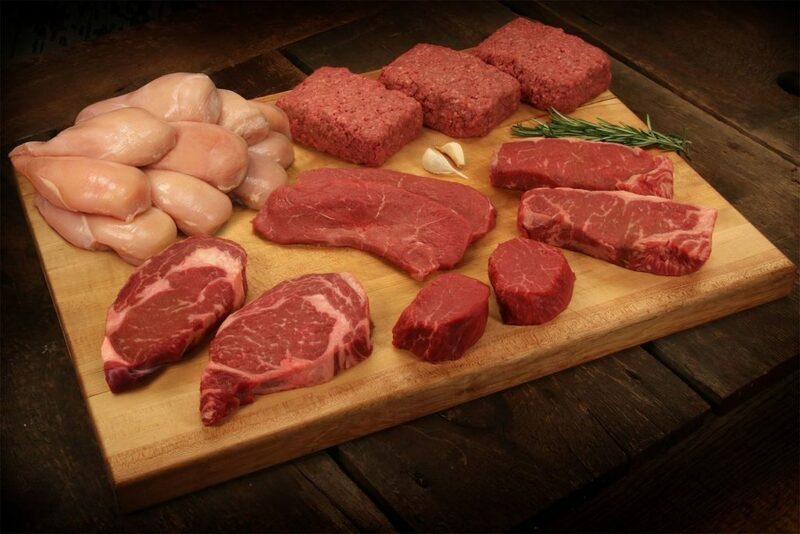 A CrossFit Approved® box, featuring a curation of Strauss’ free-range chicken, grass-fed burgers, beef sticks and various cuts of steak, is now available on Strauss’ online store, Free Raised® Direct. Strauss will also be stocking CrossFit Approved® meat in select grocery retailers across the United States later this year. Known as the largest branded fitness program in the world, CrossFit has well over 14,000 affiliates around the world and determines the Fittest on Earth® through the annual CrossFit Games season. In 2018, about 416,000 people registered to compete. The partnership with Strauss is CrossFit’s first physical manifestation of its nutrition principles through food and beverage products. Strauss Brands’ mission is to educate consumers on the health benefits of its better-for-you grass-fed and finished protein while making its products accessible nationwide. CrossFit will help the brand spread this message because CrossFit goes beyond workouts to create a community that’s focused on healthy lifestyle choices. CrossFit Inc. is the developer and provider of the CrossFit® Fitness Program and a recognized worldwide leader in functional fitness. Founded by Greg Glassman and built on the foundations of constantly varied, high-intensity functional movements, education and collaborative competition, CrossFit-brand workouts develop strength and fitness while cultivating community and camaraderie in each of the more than 14,000 affiliated gyms in CrossFit’s global network. CrossFit Inc. is a leading accredited certificate issuer for physical-training professionals worldwide and offers specialty certificate programs in addition to its core curriculum. CrossFit Inc. publishes the CrossFit Journal, promotes physical and cognitive health and fitness through the CrossFit Kids Foundation, and created and operates the CrossFit Games, an annual competition where elite athletes compete to be named the Fittest on Earth™. To learn more, visit www.CrossFit.com, Games.CrossFit.com, Facebook.com/CrossFit or http://www.youtube.com/CrossFitHQ. CrossFit®, Forging Elite Fitness®, The Sport of Fitness® and Fittest on Earth® are registered trademarks or trademarks of CrossFit Inc. in the U.S. and/or other countries. With more than 80 years of experience in restaurants and grocery stores, Strauss Brands is a leader in the meat industry, offering grass-fed and finished beef, humanely raised veal and lamb. Strauss is built around the quality of its meat, the humane treatment of animals and the provision of environmental sustainability through its growing network of pasture-based independent American family farms. Strauss Brands recently expanded to offer consumers the option to get the same chef-quality meat delivered via its online store, Strauss Free Raised® Direct. Whether you shop in-store or Direct to Your Door®, your choice in protein matters. For more information about Free Raised® Direct, and to purchase Strauss products, visit FreeRaisedDirect.com or find a retailer near you with our product locator and check us out on Facebookand Instagram.